No. 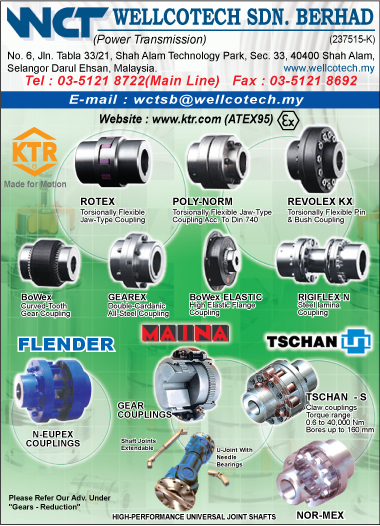 6, Jalan Tabla 33/21, Shah Alam Technology Park, Seksyen 33, 40400 Shah Alam, Selangor, Malaysia. 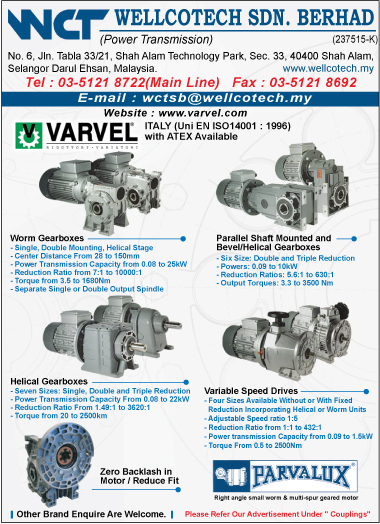 Wellcotech Sdn Bhd is a well established local company that specialize in Power Transmission Products such as Gear Reducers, Flexible Couplings, Universal Shafts and Joints, etc. Founded and established in 1992 with over 19 years of experience in the industrial and engineering industry. We have a team of highly motivated personnel to serve and attend our customer's needs.